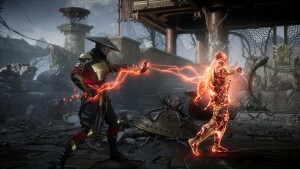 As open-world games have become more commonplace over the past few years, so too have the formulaic activities they offer players to occupy their time. 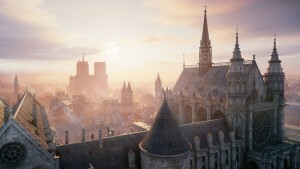 From climbing up towers to taking down bandit camps, and nabbing crafting items every few feet in between, players often know what to expect from open-world gameplay as soon as they strike out in the direction of their choice. 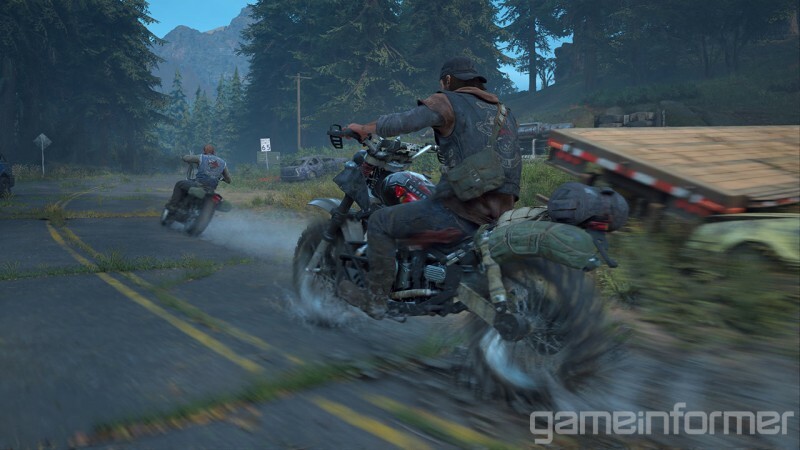 Days Gone drops players in the familiar stomping grounds of a zombie freaker-infested post-apocalyptic wasteland, and while it doesn't completely reinvent the open-world genre, it does offer enough interesting twists and bold design decisions to stand out from the crowd. In fact, the biggest surprise from our recent hands-on time with the game was how unique Days Gone feels. Here are five reasons why. 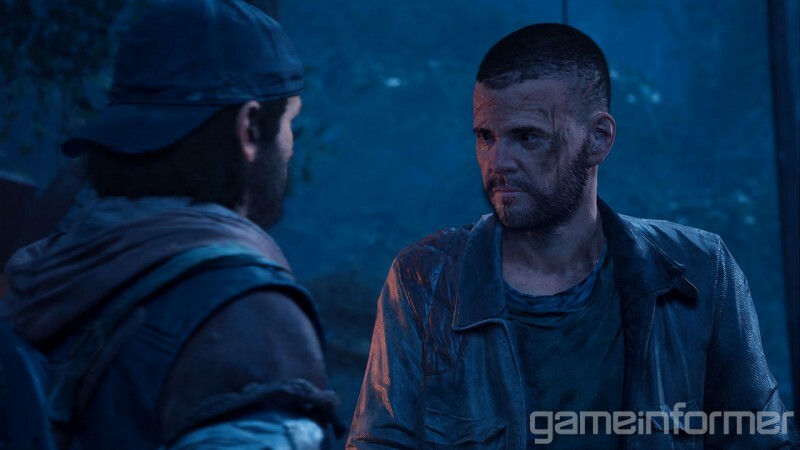 Based on the handful of main missions we played, Days Gone's story does indeed feel more thoughtfully directed and cinematic than most open-world games, thanks to the liberal use of cutscenes that feature motion-captured performances by professional actors. Whether that translates to a good story remains to be seen, but Bend is clearly swinging for the fences. "There are 20 named characters in the game who are as important as Boozer," Garvin says. "It's a big game." 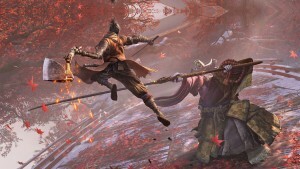 Grim storylines are nothing new for open-world games, but once you're set free to do as you please, all that tension and drama is usually shoved aside for sandbox shenanigans. Don't expect Deacon to don a wingsuit anytime during his journey through Oregon. "With Days Gone, it's a very serious tone," says lead open-world designer Eric Jensen. 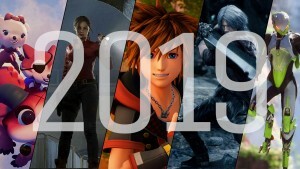 "A lot of bad stuff has happened, and we've tried to carry that into the open world... We don't want it to feel arcadey, which a lot of open-world games can feel when you're away from the story." 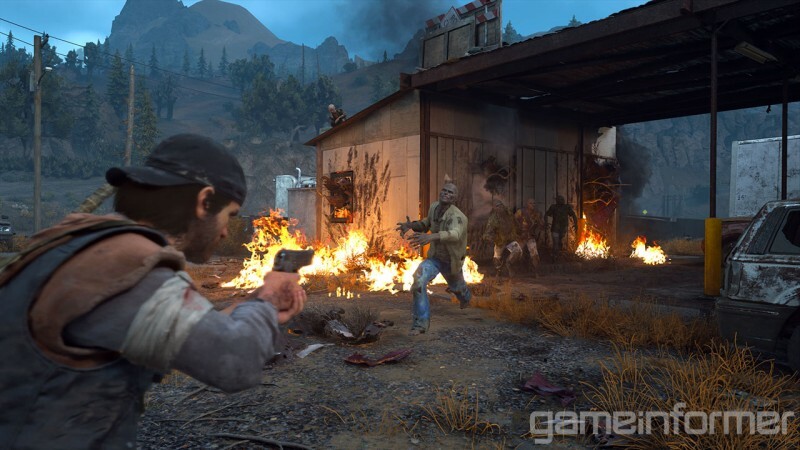 The connection between the narrative tone and gameplay came through loud and clear during our hands-on time with Days Gone, which at times felt more like a survival-horror game than open-world veterans might expect. Even the smaller jobs that Deacon can perform for survivor encampments are faithfully aligned to the tone and story; hunting deer for venison accomplishes the very real-world need of feeding each encampment's survivors, while hunting down marauders prevents them from preying on other drifters. Deacon in turn isn't arbitrarily making more work for himself; he must build up trust with the various camps (which operate independently from one another) in order to afford the weapons and supplies he needs to continue making progress. Once again, the focus on the golden path keeps things grounded. "You're not going to find the guy pushing the cart on the road who needs your help," Garvin says. "That guy just doesn't exist in our world, so that kind of a distraction doesn't exist in our world." A big part of capturing Days Gone's grim and unforgiving tone is the game's difficulty. 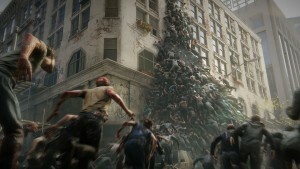 While other zombie games like Dead Rising and Left 4 Dead allow you to easily cut a swath through massive crowds of the undead, Days Gone's infected enemies are a constant and deadly threat. Even a handful of freakers can overwhelm Deacon if you're careless, and using a firearm to dispatch one can very well attract several more to your location. Leaving your bike to scope out a location on foot immediately ratchets up the tension, and when things do get overwhelming (say by accidentally setting off the loudspeakers at a NERO checkpoint), your best tactic is often to run away. Even when you're driving, you have to keep an eye out for roadside ambushes or unseen freakers that can pull you off your bike if you're going slow enough. The result of all this is that you never feel completely safe once you venture out beyond the walls of a friendly encampment, and Sony Bend is leaning into that sense of danger. "It's definitely unforgiving," Jensen says. 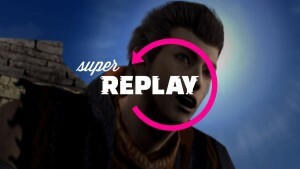 "We do stuff in this game that I don't think other games do, where we screw the player over a lot. 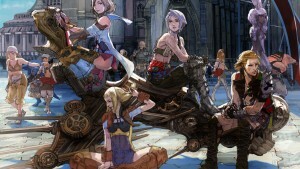 But I think it's a welcome change, and I think our tagline of 'the world comes for you,' that's what we try to embed in the open world. You're not safe anywhere. If you stand in one place too long, something's going to come for you." Days Gone's unflinching difficulty gives the gameplay a different feel than other open-world games. 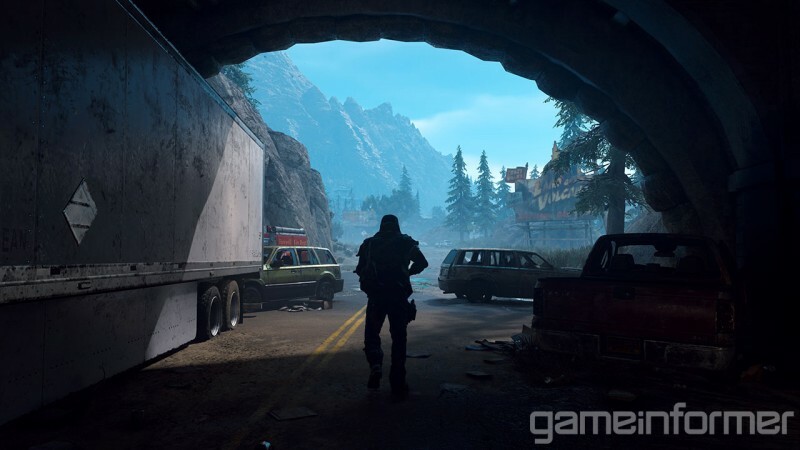 It's a feeling that players won't be able to opt out of – Days Gone only features one difficulty level. Vehicles are surprisingly disposable in most open-world games – if you can't spawn a convoy's worth of customized rides in your personal garage or have one delivered to your location, you'll find plenty of other transportation opportunities littered throughout the environment. Not so in Days Gone. Deacon only has one bike throughout the game, so you're going to want to take care of it – and remember where you parked. 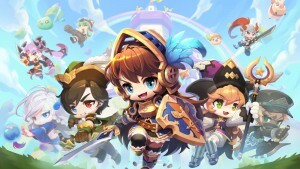 "We're against freebies, like letting a player throw his bike in a lake and say, 'Eh, whatever, man, I don't need it,'" game director Jeff Ross says. As we mentioned before, getting stranded on foot in the wilderness can easily be a death sentence, so you'll want to keep a close eye on your bike's fuel and health levels – if either reaches zero, you'll be hoofing it to the nearest encampment. There's also no gameplay equivalent of whistling for your horse and having it warp up behind you; your bike is going to remain wherever you left it. 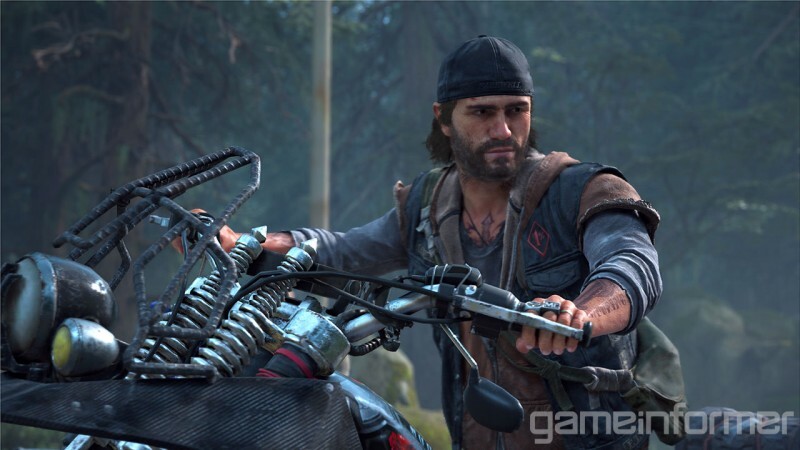 While managing your bike may sound tedious, it feeds into Days Gone's distinctly unforgiving tone and provides another layer of tactical choices. Drive up too close to an enemy outpost, for example, and you're liable to alert the entire camp to your presence (motorcycles aren't the stealthiest of rides, after all). Parking further away, however, will complicate a quick getaway – which isn't great if a roving freaker horde decides to drop in and see what all the gunfire is about. Deacon can earn a wealth of bike upgrades over the game, including new engines, frames, mufflers, and much more, effectively giving you two progression paths to split your time between. After playing the opening hour of the game and then skipping ahead to a later mission with a more upgraded bike, we can confidently say that you'll feel – and appreciate – the difference. You can't have a zombie game without teeming masses of feral enemies, and Days Gone is no exception. 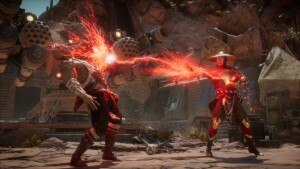 However, when Sony Bend debuted Days Gone during a 10-minute gameplay demo at E3 2016, its horde technology was so impressive that many gamers questioned if it was even real – an accusation the studio still frequently hears to this day. After facing off against a horde ourselves, we can say that not only are these epic showdowns legit, they are unlike any other zombie game we've played to date. One thing that the E3 debut didn't reveal was Deacon's objective during horde encounter sequences. Unlike other zombie games, you're not just trying to escape freaker hordes or survive for a set period of time. Deacon actually has to kill off the entire mob, each of which is comprised of a finite number of freakers. A bar within the game's HUD shows approximately how many are left in a given horde, though it's easy enough to judge yourself by how many grotesque foes you have shrieking and snapping at your heels. Horde encounters require you to be constantly running and thinking on the fly as you traverse the environment and use it to your advantage to (hopefully) stay one step ahead of the pack. They can also happen at virtually any time – hordes exist as entities in the game world, and wander between locations on the map to feed and sleep. 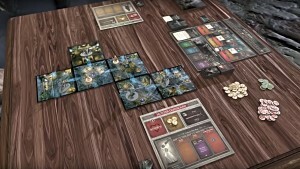 As you may have guessed from the fact that just a few freakers can be deadly on their own, clearing out a horde is a huge undertaking, and is generally considered a late-game activity. It took us several tries with a fully upgraded and well-stocked Deacon to take one down during our demo –only to have game director Jeff Ross tell us that it was considered a "baby horde" of just 300 enemies, and that other hordes get a lot bigger. 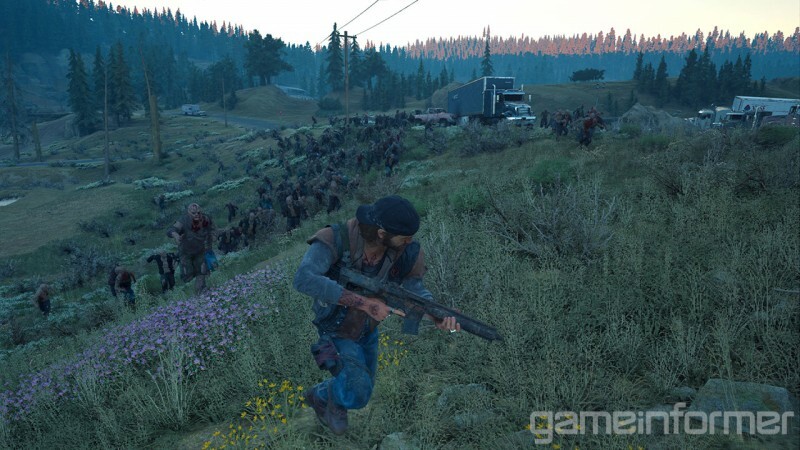 Trying to avoid a freaker horde is a nerve-racking experience in its own right, so tracking down and dispatching the massive seas of enemies should hopefully offer plenty of late-game excitement during Days Gone's lengthy campaign.